T-Mobile Sidekick 4G successor coming soon? There comes a moment in the lifetime of every handset when it has to step down and free up space for the newcomers. Such is the case with the T-Mobile Sidekick 4G, which is now getting discontinued after being on the market for a bit less than one year. The carrier itself spilled the beans while speaking with The Verge, effectively confirming the rumors that surfaced a few days back. 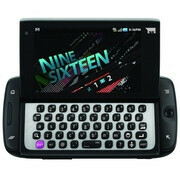 While the T-Mobile Sidekick 4G is being retired, it doesn’t mean we are discontinuing the T-Mobile Sidekick line. T-Mobile continues to update and expand its 4G product portfolio and we’ll keep you posted when we have news to share on T-Mobile’s latest 4G devices. So yeah, a new Sidekick smartphone might launch soon for all you physical keyboard lovers out there. And who knows, instead of a mid-range handset, it could be a high-end device this time with a powerful processor, high-resolution display, and an awesome camera. What do you guys think? Is anyone excited about a potential Sidekick smartphone, or have you already accepted the fact that smartphones with physical keyboards are nearing extinction? Let us know by dropping a comment below. Its a phone fit perfectly for tmo. No the other carrier would even look at this POS.